ALASKA – Alaska have became the third U.S. state to legalize the recreational use of marijuana, but it still remains illegal to smoke marijuana in public. Police officers are ready to start handing out $100 fines to make sure taking a toke remains something to be done behind closed doors. 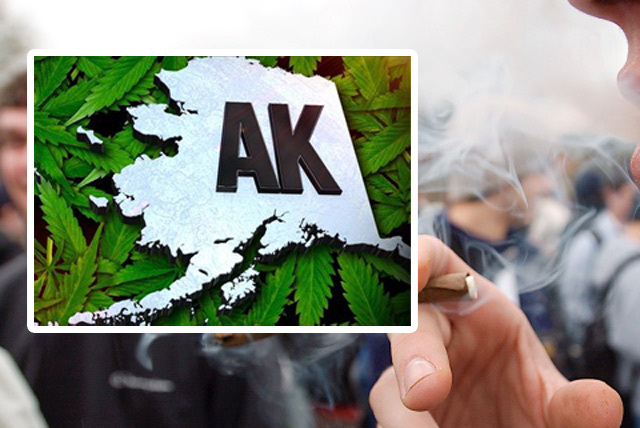 Legalize marijuana in Alaska was the goal of a coalition including libertarians, rugged individualists and small-government Republicans who prize the privacy rights enshrined in the Alaska state constitution. They voted 53-47 percent to legalize marijuana use by adults in private places. In Anchorage, officials tried and failed in December to ban a new commercial marijuana industry. But Police Chief Mark Mew said his officers will be strictly enforcing the public smoking ban. He even warned people against smoking on their porches if they live next to a park. Alaska law gives every community the option to regulate alcohol locally. From northern Barrow to Klawock, 1,291 miles away in southeast Alaska, 108 communities impose local limits on alcohol, and 33 of them ban it altogether. But the initiative did not provide clear opt-out language for tribal councils and other smaller communities, forcing each one to figure out how to proceed Tuesday.